Museum Kampa is one of Prague’s most charming museums and exhibits contemporary European art in the shiny-white, medieval Sova Mill, which sits on the Vltava bankside on cute-as-pie Kampa Island. The exhibitions are formed from the private collections of Jan and Meda Mládek, Czech art connoisseurs who gifted their stellar artworks to the country in 1999. Among the highlights of the collections are chunky bronzes of the human form by early 20th-century Cubist sculptor Otto Gutfreund and the world’s finest mass of works by pioneering abstract artist František Kupka. Several temporary exhibitions of European artists take place throughout the year —Yoko Ono and Andy Warhol have both been featured there — and an ever-changing series of wacky art installations scatter the grounds of Sova Mill, which could range from a vast chair to an oversized bright-red plastic dog or ranks of yellow penguins lined up along the breakwater. First mentioned in 1393, Sova Mill is itself worthy of interest as the oldest watermill on Kampa Island. It was converted into a two-story, Neo-Gothic mansion in the 19th for a wealthy milling family called Odkolek, and was reworked again by architect Helena Bukovanska, with the help of several other Czech designers, before the museum opened in 2003. From the glass rooftop terrace, there is a spectacular view of Prague Castle and the statuary of Charles Bridge. Open daily 10am–6pm. Admission for adults is 240 CZK; seniors, students and children aged more than 6 are 120 CZK; less than 6 go free. Entry is free with the Prague Welcome Card. For transportation, take trams 12, 20 or 22 to Hellichova. Sharpen your photography skills while sightseeing in Prague during this small-group, nighttime walking and photography tour. Wander to the city’s sights and get tips for taking better photos and using your digital camera or your Smart Phone’s automatic and manual settings from your professional photographer guide. 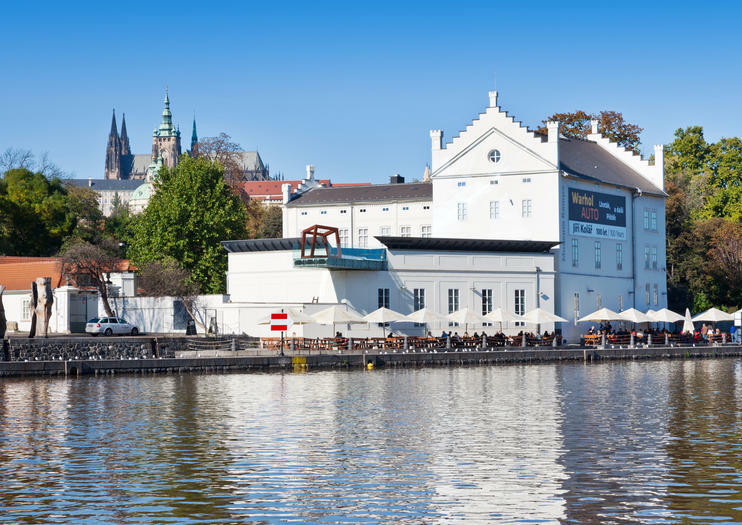 Capture images of the Prague Castle and Saint Nicholas Cathedral and get a shot of the glimmering gold roof at the National Theatre. Take home a unique, personalized and memorable souvenir of your vacation with a private photo shoot with Prague’s beautiful landmarks as a background. Your professional vacation photographer will take you on a private photo shoot where you will become models in your own stunning photographs. A perfect experience for couples, single travellers, families or groups of friends. You can choose if you prefer a fun, romantic or candid photo style. The approach is relaxed so you can enjoy the sights of Prague, while your photographer captures the best moments. Within 3 days after the shoot you can download your professionally edited high-resolution photos from an online gallery.Choose from 3 options:30min Photoshoot + 20 edited photos (ideal for single travellers)60min Photoshoot + 40 edited photos (great for couples)120min Photoshoot + 60 edited photos (perfect for families and groups of friends)A perfect and memorable gift to yourself or your loved ones.